Born Clarence Linden ‘Buster’ Crabbe II on this day, February 7, in 1908, he was better known as Buster Crabbe, Olympian bronze medal winner in 1928 for the 1,500 meters freestyle, and gold medal winner in 1932 for the 400 meters freestyle in swimming. Like his Olympic predecessor a decade before him, Johnny Weismuller, he made the transition into movies and is today remembered as one of the original action heroes of 1930s and 1940s cinema. Now I hate to break it to you, but there was more than one Tarzan! What else do you do with an Olympic Swimmer turned actor? Crabbe who appeared in over 100 movies and almost as many TV programs, started out in 1933 playing Tarzan in the 12 chapter film serial, known as Tarzan the Fearless. To avoid confusion with MGM’s Tarzan played by Weismuller, the character of Jane was not written into this serial. Instead, Mary Brooks who is in search of her missing father, (who has been captured by “worshippers of Zar, god of the Emerald Fingers”) is Tarzan’s love interest. This was the only time he played Tarzan but Crabbe did go on to play other Tarzan-like characters in the King of the Jungle (1933), Jungle Man (1941), and the serial, King of the Congo (1952). Not a bad effort for someone who had no acting lessons. In 1971, Crabbe broke the world swimming record for the over sixties in the 400 meters free style. He has a star on the Hollywood Walk of Fame at 6901 Hollywood Boulevard in Hollywood, California. 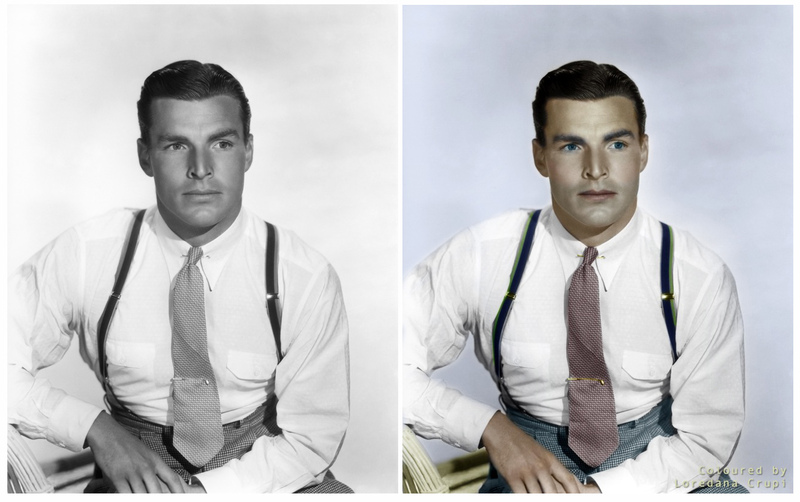 This entry was posted in Colorization, Colourisation, Film, Hollywood, Photography, Sport, USA and tagged Betty Grable, Buck Rogers, Buster Crabbe, Captain Gallant of the French Foreign Legion, Flash Gordon, Ida Lupino, Jungle Man (1941), King of the Congo (1952), King of the Jungle (1933), Loredana Crupi, Million Dollar Legs (1939), Search for Beauty (1934), Tarzan the Fearless, The Sweetheart of Sigma Chi (1933). Bookmark the permalink.